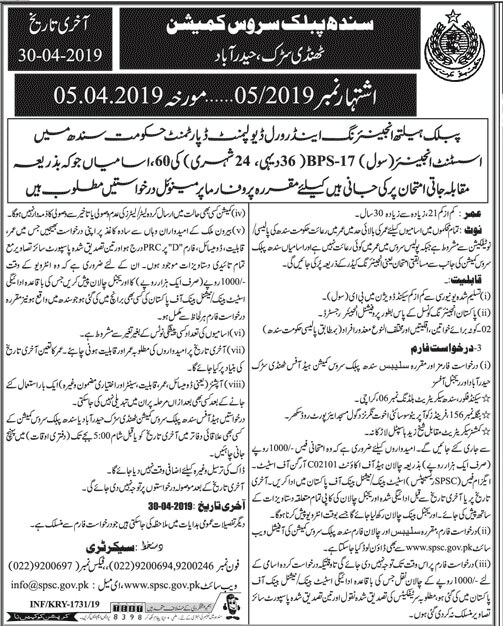 Sindh Public Service Commission (SPSC Jobs 2019): SPSC is inviting applications from eligible candidates for the following position in multiple departments of Sindh Government. Applicants may apply online via online at www.spsc.gov.pk. Applicants may also apply on prescribed form and applications complete in all aspects should reach the SPSC Head Office and Regional Offices.